Barcelona by Svad Dondi was inspired by Avant Garde Art due to its aesthetically innovative design. The abstract style of this bedding makes the collection a perfect complement to a white space or any simply decorated room for a modern look to any home at land or at sea. By layering shapes in various ways and topping it off with a muted color palette, these pieces turn your basic bedding into an unexpected, sharp, and stylish addition to your room. 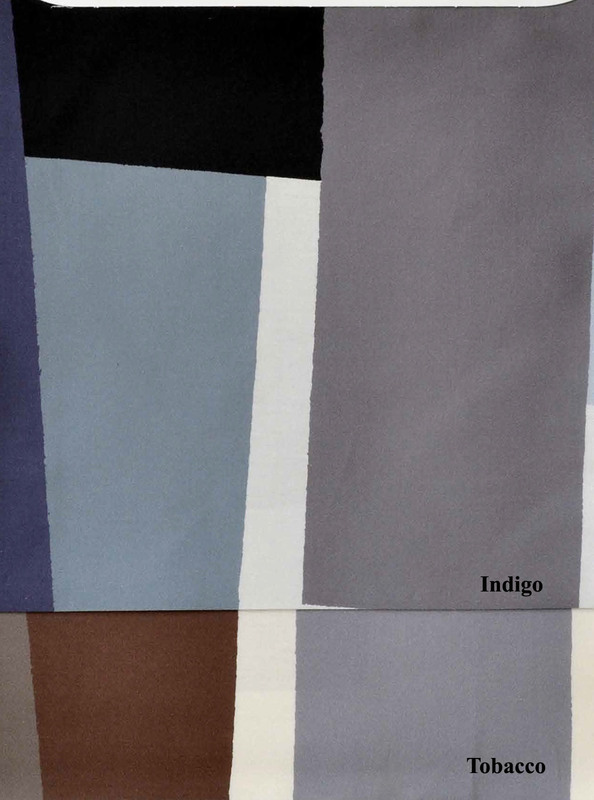 The suggested sheets that coordinate with Barcelona are the Visconti by Cottimaryanne in White (01) or Silver Gray (53) for Indigo and Ivory (03) or Leather (13) for Tobacco. The pieces in this collection are made of 100% Cotton Sateen. You may choose from a duvet cover or shams in the colors Indigo or Tobacco.